When it was announced a good while back, I, like many other Marvel fans, was very skeptical about the idea. I mean, Civil War? Like, the greatest and potentially most impactful Marvel event ever? Come on. They don’t even have the right Avengers team, let alone enough characters to fill up a decent roster. They didn’t even have the rights to Spider-man! Come on. This is gonna be terrible. At the same time though, I had previously thought Avengers was gonna be terrible as well, seeing as they didn’t have the right team, and I wound up loving it. However, this was different. The true shining moment of the entire event was Spider-man announcing to the world that he was Peter Parker. That wasn’t just big for the characters in universe, but for readers as well. You couldn’t just do that. The ramifications could be a universe changer! (It was, but that’s for another day.) So how were they gonna do it? What in the world could they possibly do to justify the name of this movie? Simple. By reminding viewers what the story was really about, rather than shoving fan-service in our faces. This movie’s not just about our favorite superheroes fighting each other, although there is a good amount of it.The focus essentially centers around the politics of super beings. Do we actually need them in our world? Should they be allowed to act without authority? Does their presence actually invoke more disaster? This was all definitely touched upon in the comics, but any conflict most readers had were lost when details regarding the unethical imprisonment of non-registered superbeings was revealed. Here, feelings weren’t so easily swayed, because despite Ironman and the government being wrong against their accusations against Bucky, (Not much of a spoiler. Just a big duh.) it was still really difficult to not see the good in being pro-registration. I mean, the movie actually starts off with a bunch of people getting killed due to a mistake a hero made. Considering the situation, one had to wonder if it all could have been avoided if the good guys just had not shown up. Sure the villains would have won, and gotten away with what they wanted, but far as I could tell, they never actually did kill anyone. Such an emotional flick it was too. So many lives lost, relationships lost, friendships dismantled. This movie just loved tugging at the heart strings. Just all part of what made things such genius. From the story, to the cinematography, the dialogue, especially with all the well thrown in jokes Marvel movies have, then choreography of the action, and the special effects. So amazing! Speaking of action by the way. The fight at the airport? Any reservations you had about the small roster, or rather large one by movie standards, gets utterly destroyed. It’s just that good. Every character gets their fair share of screentime, beautifully showcasing their abilities. I couldn’t even figure out who I wanted to root for. I was team cap all the way, but I just couldn’t help but root for characters on Ironman’s side as well, especially when it came to new inductees Black Panther and Spider-man. Let’s talk about Spider-man by the way. Tom Holland was the perfect fit for this role. I never liked Andrew Garfield in the reboots. 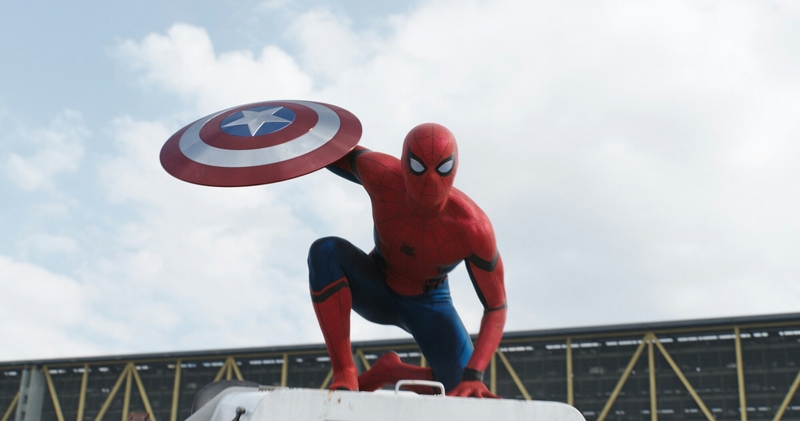 Sure, he was really funny while under the mask, something Maguire’s spidey lacked, but he just was not Peter Parker. Awkward as he was at times, he just was not that super awkward nerdy teen that was heavily sheltered by his aging aunt and uncle. Holland on the other hand, is a good mix of both. I couldn’t help but cringe while he was on screen as Peter. The kid’s never getting a date to the prom. Then when he’s Spidey, he easily manages to make just about everyone on screen, as well as certain audience members, absolutely hate his guts, due to his corny banter. I wasn’t even so upset that he didn’t get that much screentime, because I’m pretty sure he could’e stolen the show otherwise. Let’s not forget about Black Panther. Now this was not a guy who’s bad side you’d ever want to get on. Seriously. 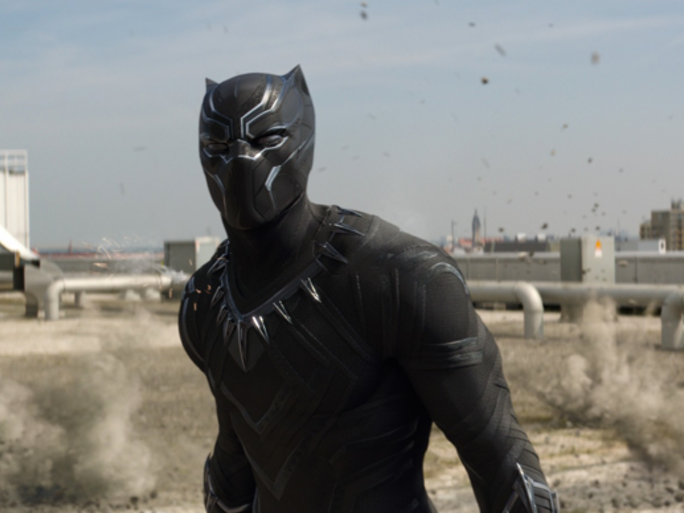 Vibranium bulletproof suit, enhanced strength and agility, and his own unique fighting style. Not someone you wanna cross. Chadwick Boseman really sold this character. This was a prince, coming into his new title as king, and he had a mission. I’m actually itching to see his movie, way more than any of the other standalone characters. Except for Spider-man of course, because Spidey. Overall, this was a great flick. The Russo Brother have really outdone themselves again. I really wasn’t sure how they could ever top Winter Soldier, especially when it came to handling such a large roster, but they did it. They really really did it. 4.5/5 though I did have one gripe actually. That being the whole reason for the Bucky and Cap versus Ironman fight. At this point, it actually had nothing to do with registration, but because Tony had to get emotional about something. It was a justified emotion, but his decision to act upon it, especially when there was another serious problem going on at that very moment, was incredibly foolish. All the more reason to roll with Team Cap.